Effective July 1 SEPTA will be changing its fare structure. The former weekday peak period Regional Rail fares will now be effective on all weekday trains before 7PM. SEPTA current bike policy states at bikes are not permitted on peak period trains, raising fears that bikes could be banned on all trains before 7PM. A source at SEPTA has confirmed that the policy language would be modify to say that bikes will be permitted except on trains that arrive in Center City before 9:30Am and trains that depart Center City stations between 4 and 6:30 PM. The new policy is not yet posted on their website but we've been assured that it will be shortly. Does anyone know if this will affect folders? No folders will still be allowed to be brought onboard folded at any time. 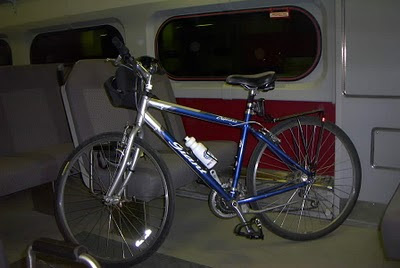 Will the new Silverliner Vs have bike hangers? They seem to have become more common on newer transit vehicles in other cities.